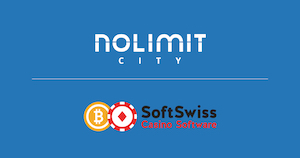 Online software provider Nolimit City has signed a content distribution deal with online crypto platform SoftSwiss. The deal, with white label and casino platform SoftSwiss, comes on the back of the announcement of Nolimit’s latest game release Starstruck. Players on the SoftSwiss network will now gain access to titles including Hot Nudge, Tesla Jolt, Kitchen drama – Sushi mania, Oktoberfest, Casino Win Spin, Fruits and the forthcoming Tombstone. Nolimit City slots are offered via their own platform, which means they can be integrated directly to partners with a range of platform features. Max Trafimovich, CCO for SoftSwiss, added: "The team behind Nolimit City seems to have no shortage of ideas. We love their youthful and bold approach to game development and are confident their game portfolio will take a prominent place among the 30-plus hand-picked content providers we supply as part of our Game Aggregator."